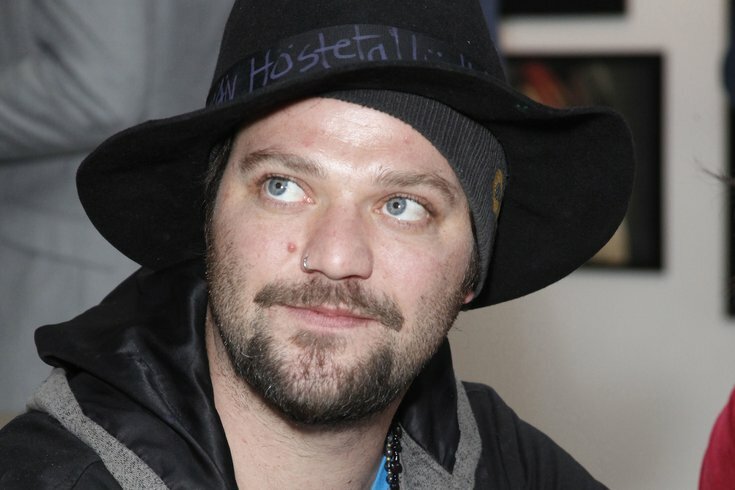 Bam Margera is photographed at a Philadelphia art gallery in this file photo from 2012. Margera announced he is headed to rehab for alcohol abuse for a third time in an Instagram post on Dec. 31, 2018. Bam Margera doesn't need alcohol to be Bam Margera, evidently. The "Jackass" star and skateboarding icon checked himself into rehab at the start of the new year, less than a month after hosting a massive public party at his Castle Bam property near West Chester. This is the third time Margera, 39, has entered rehab since his best friend and "Jackass" co-star, Ryan Dunn, fatally crashed his Porsche in an alcohol-related accident in 2011. The terms of Bam's admission to rehab appear to be strict, limiting his interaction with family and friends. Left without much to do, he's picked up a pen. And, well, he sounds like just like himself hurling profanities out to his 1.8 million Instagram followers. "I have wasted too much time at the bar and all my friends who needed decades of help are now all sober," Margera wrote. "I would like to join the sober parade." Margera's struggles with alcohol abuse and its longterm effects have become much more widely publicized in recent years. He revealed that he struggled with alcohol-related bulimia in his 20s, at the height of his fame, and opened up about the role of Dunn's death in his drinking during an hour-long episode of the Vice series "Epicly Later'd." The party at Castle Bam, an inferno of furniture and live music, was held to raise money for a new skatepark and may have been a last hurrah for Margera. He and his wife, Nicole Boyd, have a 1-year-old son. Margera last checked into rehab last January following a DUI arrest in California. "I'm sick of people thinking I'm always drunk, crazy or f***ed up," Margera wrote.